I'm always asked where I shop for Sophia. 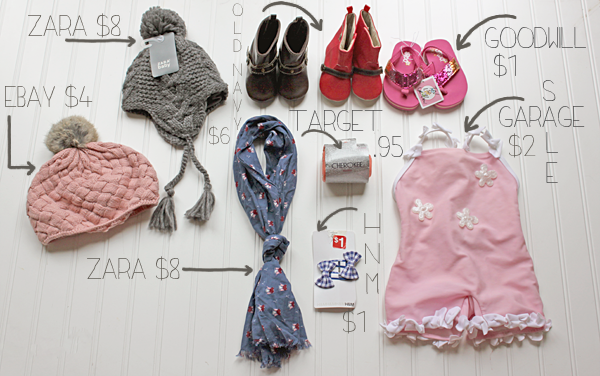 So here's a little peek of how and where I shop for her. First I shop my local thrift store and garage sales! You'd be surprised at the things you can find! I've found GAP, OLD NAVY and even RALPH LAUREN with tags still on and never spend more than $3. Although I wish I could always shop for clothes at thrift stores, lets be honest, sometimes there's nothing but JUNK. My next tackle are the CLEARANCE RACKS! If I see something I like but still might be too big for her, I get it anyway. I have a box full of things that are still to big for her. She'll grow into them eventually. I also do a lot of online shopping. My favorite place to shop at is ZARA. 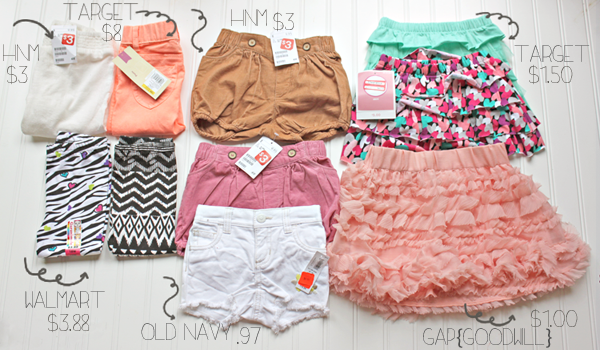 They have so many cute AFFORDABLE clothes and they offer free shipping to the US which is a plus for me! So there it is, 50% of her things come from thrift stores, garage sales,clearance racks and budget friendly websites. The other 50% are purchased at full price. Great post! 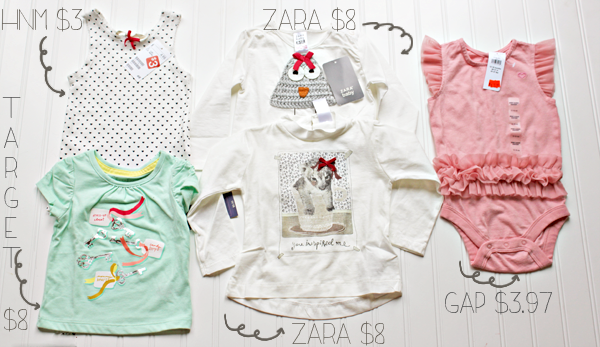 I'm right there with you, we want our kiddos looking fashionable minus the price tag! I shop second hand, clearance and online all day long. With how fast they grow I wouldn't do it any other way! Cute style! I love your little arrows, too! oh how i love a thrift store find when the tags are still on! i'm definitely following you, follow me back if you want! love the clothes that you always put on Sophia..there is a large goodwill about 30 minutes away that has loads of clothes for .99 cents really cute, but i've been too lazy to check it out for a year..but you motivate me to check it out again!